Sport the Rosalie with jeans, dresses, or even jammies - it's up to the challenge! 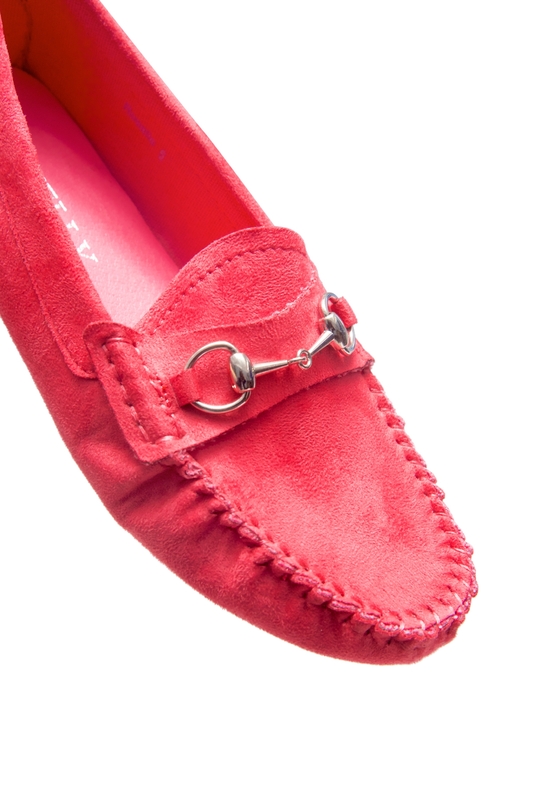 This stylish flat combines peek-a-boo studs on the heels and a roughened moccasin upper with contrast stitching, softened by a threaded collar and metallic accent. Classic moccasin styling with a few surprises - that's the Rosalie.. Its round toe and padded insole make this a comfortable flat, too, easily worn for hours in your favorite looks. Available in sizes 5 to 11.